Many years of seabed searching followed. Cynics dubbed the wreck ‘McKee’s Ghost Ship’. Between 1968 and 1971 volunteer divers explored the Solent. They used sonar scans and plunged long steel rods into the soft mud until they struck timber. Then the team employed dredgers, water jets and airlifts to excavate a strange shape underneath the seabed. 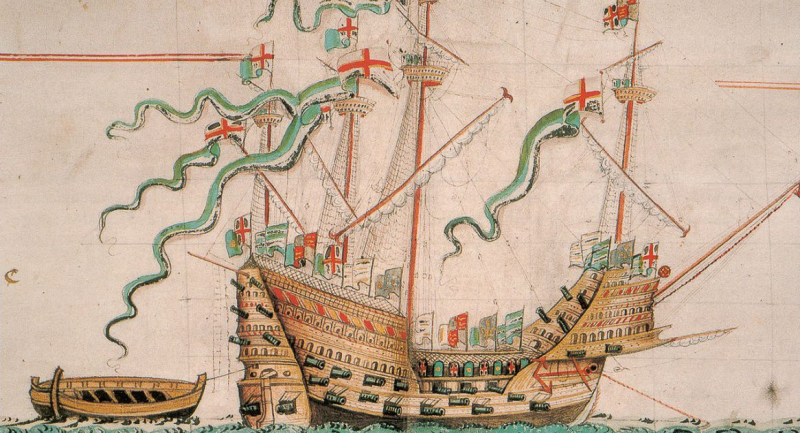 Alex Hildred, curator of the Mary Rose, confirmed that this was the first time that remote sensing technology sub-bottom profiling and side scan sonar had been used in England.Without Alexander McKee’s dedication and pioneering work, it is likely this ship would still be buried beneath the soft Solent mud. John Lippiett, the Rear Admiral who leads the Mary Rose Trust said “The project wouldn’t be what it is today without the foresight and inspiration of Alex and the divers.” (McKee’s stubbornness was later rewarded when he received the OBE for finding the Mary Rose). “We were very fortunate that on the first dive of the year [5 May 1971] we slightly missed our target – the area that we had been searching. We were about 150 metres to the south. Percy Ackland, who I always called our underwater gun dog, came up and whispered to me, ‘The timbers are down there Margaret [Rule].’” Ackland had found three of the port frames of the Mary Rose. By some miracle half of the hull had been well preserved by Solent mud. It was as though someone had chainsawed through the wreck from bow to stern and the entire starboard side of the Mary Rose survived.